Elsie Cracknell is my 4th cousin 1x removed. Her parents are William Henry Cracknell and Lily Eastwood. Our common ancestors are Anthony Mason and Mary Brayshaw, my 4x great grandparents. Elsie was born in Leeds, West Yorkshire, on 5 May 1915. She never married and passed away in 1981 – her death is registered in the December quarter. 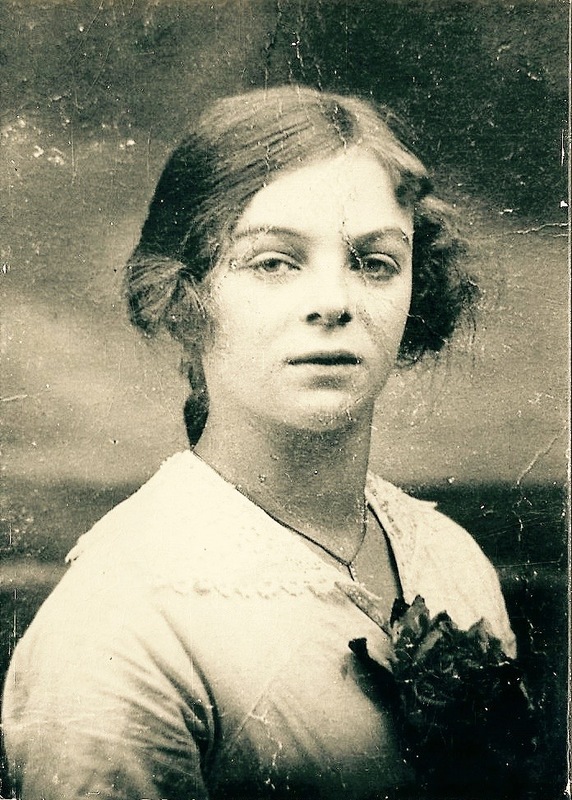 In 1919, at the age of 4, Elsie was involved in a car accident. I found the following newspaper report in the Yorkshire Post and Leeds Intelligencer of 29 April 1920. At Leeds County Court, yesterday, before his Honour, Judge Parfitt, K.C., Frederick Snape, a taxi-cab proprietor, of Wetherby, was the defendant in an action for damages for £100 in respect of injuries suffered by Elsie Cracknell, aged 4, the daughter of a mechanic, living at 8, Bayswater Street, Roundhay Road, Leeds. The child was knocked down in March of last year by a taxi-cab, owned by the defendant, and driven by Charles Henry Patrick, a youth of 18. The child sustained a depressed fracture on the left side of the head, just above the ear, her left arm and leg were injured, and she was an inmate of the Infirmary for two months in consequence. The plaintiff’s case, which was conducted by Mr J A Greene, was that Patrick was driving a taxi from Leeds towards Roundhay at a very rapid pace. Near Spencer Place an outward tramcar was standing, and Patrick, seeing people getting on and off the car, instead of slackening speed, merely sounded his horn, swerved round the tramcar and knocked down the child, who was a little higher up the Roundly Road. Patrick was driving so quickly that after he had knocked the child down his car ran about 20 yards before bring brought to a standstill. This version was bourne out by several witnesses. Mr T P Perks appeared for the defence, and the driver of the taxi declared that the child rushed out of Spencer Place in front of his car, which he had not time to pull up. He stoutly denied that there was any tramcar near Spencer Place, and said he swerved in order to try and miss the child. He was travelling between 12 and 15 miles an hour. His Honour held that the car was being driven at an excessive speed under the circumstances, and there would be judgment for the full amount claimed, with costs. This was before the NHS in the UK – so I wonder what the cost of treatment and two months in the Infirmary would have been.